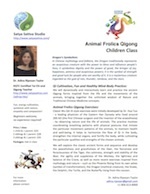 Animals Frolics Qigong for Children ! 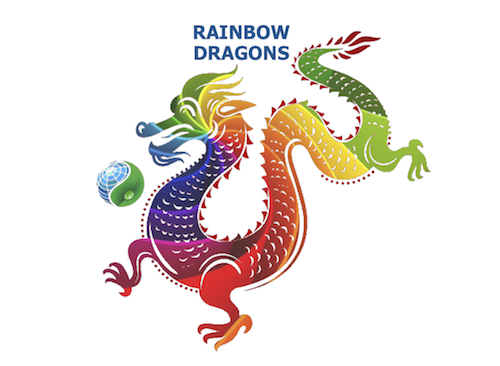 In Chinese mythology and folklore, the Dragon traditionally represents an auspicious creature with the power to bless and influence people’s lives. It symbolises dignity and the power of good, the bringer of joy, happiness, potency and auspicious powers. Symbol of strength and good luck for people who are worthy of it. It is a mysterious creature regarded as the god of rain, thunder, rainbow, and the stars. 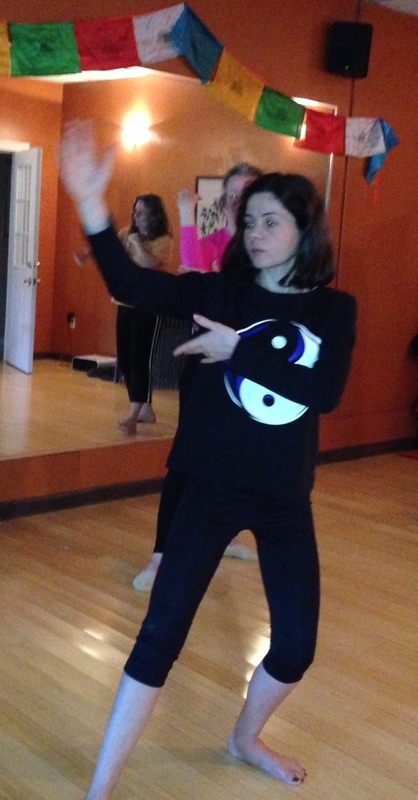 We will dynamically and interactively learn and practice the ancient Qigong forms inspired from the life and the movements of the animals, bringing together the unlimited wisdom of Nature and Traditional Chinese Medicine concepts. Classic Wu Qin Xi style exercises were initially developed by Dr. Hua Tuo – a leading physician of the Eastern Han Dynasty who lived around 200 AD (the first Chinese surgeon and the inventor of the anaesthesia) – by observing nature and the life of animals. The practice involves coordinating breathing patterns with physical postures that imitate the particular movement patterns of the animals, to maintain health and well-being. It helps to harmonize the flow of Qi in the body, strengthen the internal organs, and fortify the body, while cultivating the particular qualities and strengths of the chosen animals. We will explore the classic ancient forms and sequence and develop the peacefulness and gracefulness of the Deer, the fierceness and ferociousness of the Tiger, the calmness, strength and stability of the Bear, the agility and suppleness of the Monkey, the lightness and balance of the Crane, as well as more recent exercises inspired from mythology and nature – such as the Phoenix Rising from its own ashes (symbol of transformation), the Dragon (mythical creature), the Snake, the Dolphin, the Turtle, and the Butterfly rising from the cocoon. Visit our Events page ! 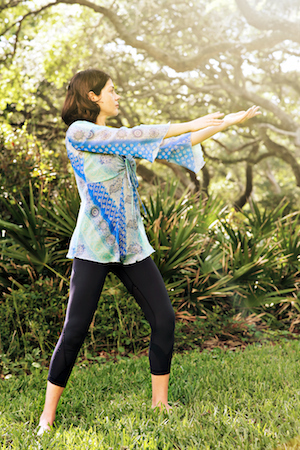 Learn more about our Qigong and Tai Chi Workshops !